Federal Student Loans Are Not the Answer. Let the Perkins Loan Program Expire. 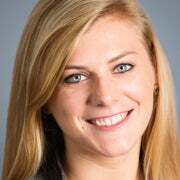 Mary Clare Amselem is a policy analyst in education policy at The Heritage Foundation. On Sept. 30, the outdated federal Perkins Loan Program is set to expire. Policymakers should resist the temptation to revive this duplicative program and instead pursue options that will set higher education policy on track to meaningful reform. Originally created in the 1950s to help students with the cost of attending college, the Perkins Loan Program is now heavily subsidized with no interest accruing on the loans while students are still in school. Since the inception of Perkins loans, named after Rep. Carl Perkins, D-Ky., who served for 35 years in the House, the federal government has dramatically increased its involvement in higher education financing. Today, the federal government now originates or distributes more than 90 percent of all student loans, significantly crowding out the private market. Federal taxpayers also fund Pell Grants, subsidized Stafford loans, and Parent and Graduate PLUS loans, among other programs. The federal takeover of the student loan market has produced a number of problems. The most problematic of them is that easy access to federal funds has removed any incentive for colleges and universities to keep tuition costs low. 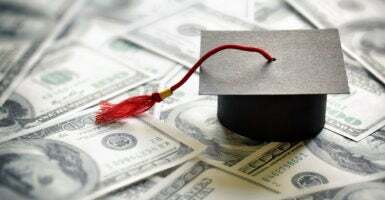 That’s part of the reason why, in recent years, we have seen a significant rise in college tuition rates, which only makes it more necessary for students to rely on loans to finance higher education. Congress has not appropriated new funds for Perkins loans since 2004. Extending the Perkins Loan Program would be bad news for American taxpayers, who bear the cost when students default on their loans, while also bearing the cost of loan subsidies, such as in-school interest payments. Indeed, simplifying federal student loans should be a top priority for policymakers. Turning to the private market would avoid the perverse incentives present in the current loan market that lead to tuition increases. Consolidating the five current federal loans into a single loan type with an unsubsidized interest rate would be a great first step in narrowing the federal involvement in student lending and encouraging more students to pursue options in the private market. Federal loans should be distributed with both an annual and lifetime cap to protect taxpayers from bearing the cost of defaults and to hedge against further tuition increases. Additionally, reforms are needed to the existing accreditation system, which, as it currently stands, stifles the innovation needed to make space for new, streamlined education models for students to pursue at a lower cost. More federal spending on higher education is not the answer to the $1.3 trillion student debt situation. Instead, efforts should be centered on identifying the root causes of tuition inflation and putting downward pressure on prices. Extending the federal Perkins Loan Program will not achieve that goal, but rather, contribute to the growing student debt tab.